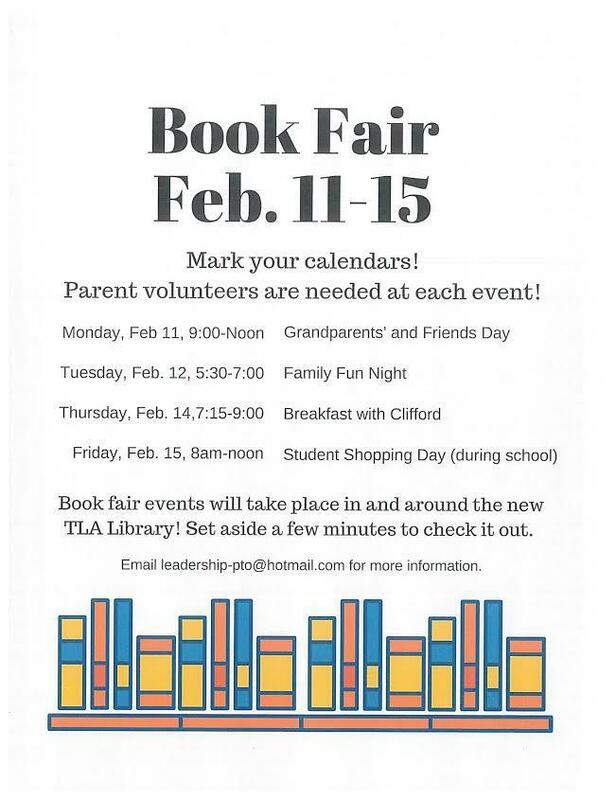 Parent volunteers are needed at each event. It will take place in and around the new TLA Library! Email leadership-pto@hotmail.com for more information.